Multishipping PayPal Magento Extension allows you to use PayPal Express to checkout with multiple addresses on your store. With all the great functionality Magento offers there is one important feature it lacks nowadays. This is multiple addresses checkout with PayPal Express. And that is a serious issue in terms of running an online business. Making the payment procedure easy and quick, PayPal Express is highly popular with both merchants and their customers who would naturally love to have it on a store. Knowing that, developers strive to offer their own solution to fill in the gap. Unfortunately, as practice shows, such solutions that are freely available on the Internet do not really change anything. The only thing they do is just lead to a disappointment on the part of a store owner when he finds out that even having PayPal Express on the list of his payment methods he still can’t actually use it for payment. 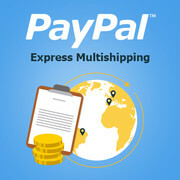 Our PayPal Express Multishipping extension successfully solves the problem giving you exactly what you want. No more waste of time on useless solutions that do not work. As soon as you start using our extension, paying with PayPal Express on your website is no longer an issue. Now you not just see it included to the list of payment methods available, but finally can use it and let your buyers pay with it. 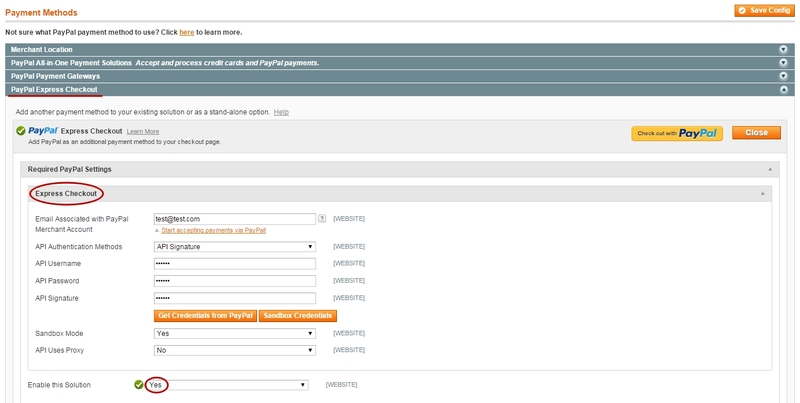 In particular, this module enables PayPal Express payment for multishipping not changing the native Magento functionality. It means that the checkout procedure remains the same as you are used to: you select a product, indicate shipping address and method. And the next step is where the magic happens. 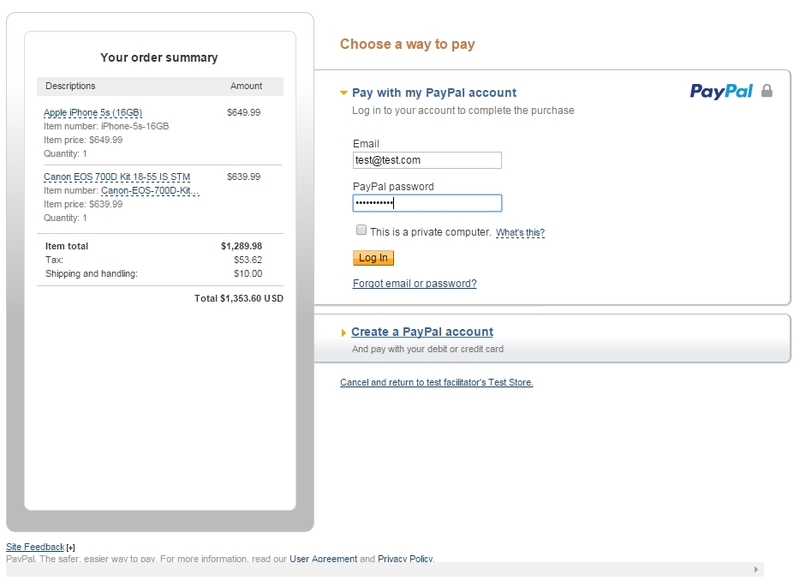 You fill in the billing information and then select PayPal Express as the payment method you would like to use. Having done that, you get redirected straight to the PayPal website. After you complete the payment procedure you click the ‘Continue’ button and return to the order confirmation step to finish the checkout. Adding PayPal Express multishipping feature to your Magento, our extension provides you with a possibility to make payments on your store smooth, quick and easy for your customers, making buying from you a pleasure. If you wish to save time on the extension installation you can order our Pro Installation services and we will set it up for you. Many thanks for this helpful extension. 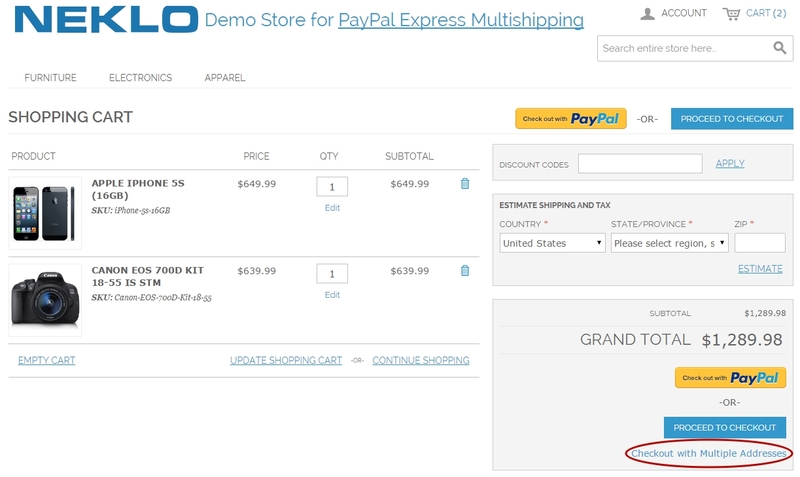 We’ve been successfully using Pay Pal Express for our checkout for a long time, but when we faced the necessity to use it inside the multishipping option, it turned out to be not supported in Magento. After surfing the internet, I found out other developers had the same problem, as this is a common issue for Magento. Glad there’s a solution now that really works. The extension has had to appear a long while ago. Thanks guys for helping in the plugin configuration.